The Stenshoel-Houske Funeral Home located on Main Street in Crookston was founded in 1906 by N.P. Stenshoel. During the 1940’s, the funeral home business was operated by Miss Emma Stenshoel, N.P. Stenshoel’s daughter. In 1967, the funeral home was purchased by Dean Jacobson; who then sold the business in 1975, to Jim Bredman. The Chesterman Funeral Home was purchased in 1930 by Joseph A. Houske, from G.S. Chesterman of Crookston, Minnesota. In 1941, Glen L. Houske moved back to Crookston and worked for his father, Joseph until they became partners around 1958. In 1984, the funeral home was purchased by Jim Bredman and Thomas Vertin, and the two businesses were merged into Stenshoel-Houske Funeral Home. Bredman continued funeral home operations out of both the Stenshoel Funeral Home and Houske Funeral Home until the Houske building was sold to the Agassiz Credit Union. Bredman and staff operated the business out of the Stenshoel facility while awaiting the completion of the new building. In 1996, a Grand Opening Celebration was held to celebrate the new state-of-the-art facility located at Highway 75 and Minnesota Street in Crookston. 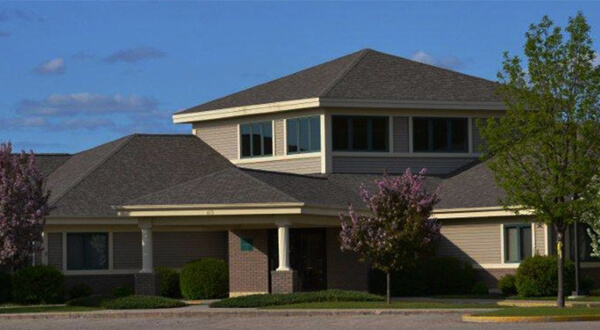 Stop by for a tour of our funeral home or click on Facilities to discover more. Although time changes many things, the commitment to excellence that families have experienced at Stenshoel-Houske Funeral and Cremation Service has remained. Together, the staff and owners at Stenshoel-Houske Funeral and Cremation Service promise to continue their caring tradition, today, and far into the future.